Shaughnessy Heights on a great beautifully treed street only 2 blocks from the school! 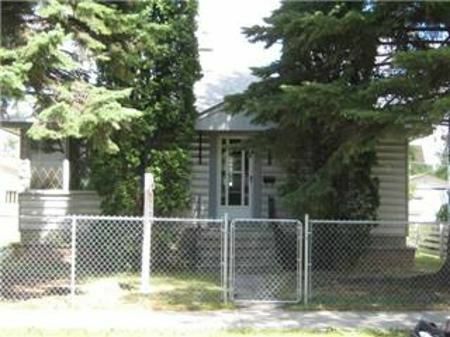 This solid 3 bedroom starter hides behind 4 lovely large trees! It has a full basement and a large recroom with ornamental fireplace. The good sized living room has bright corner windows and 2 built-in shelving units. Exposed shiny wood floors in all bedrooms and possibly under the living room carpet as well. Built-in desk in small front bedroom ideal as child's room or office. The great garage has an alarm and a heater for the mechanic to enjoy during the winter. All appliances are included and some are newer. Newer roof and some windows, sump pump, central air, newer front door. The kitchen and bath require minor cosmetics. The fully fenced yard features a large deck. Close to public transportation. Quick possession is possible!